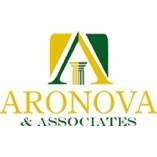 Aronova & Associates LLC’s mission is to help injured New York workers and accident victims with all legal needs. The firm advocates securing claimants’ Workers’ Compensation and Social Security Disability benefits as well as personal injury and... construction accident cases. Our attorneys are all highly credentialed with many years of experience and are skillful in advocating for the rights of those who have suffered serious workplace and accident related injuries. Aronova & Associates provides transparent, accessible, user-friendly and reliable legal representation, which promotes confidence that you have chosen the right Firm.